US dollar buyers have no mercy and strikes back all over the market in the last couple of days. Technical levels works fine, let’s take a look could we have an inverse H&S here at daily chart? It’s obvious that we have head at 0.6900, neckline at 0.7250, one shoulder at 0.700 for now, second colud be here as well. But, what important is that 0.700/50 holds this attack. 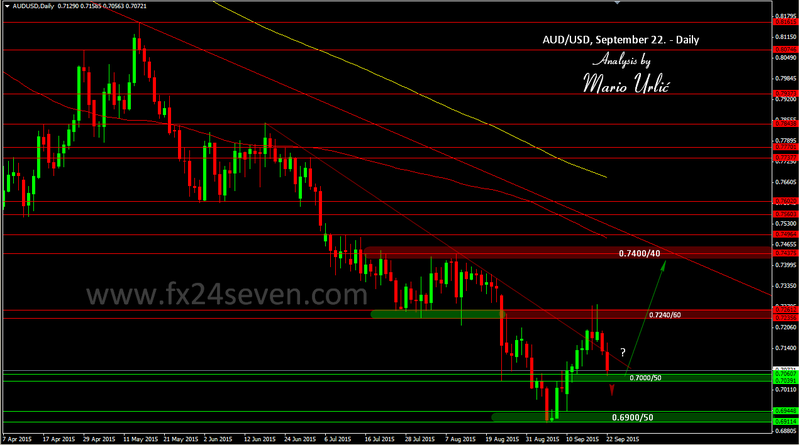 It that level fall, 0.6900/50 is the next target for the sellers, double bottom is possible as well. Wow, it’s very interesting after latest FED’s meeting and not hike decision. All in favor US dollar, who could tell that! ?